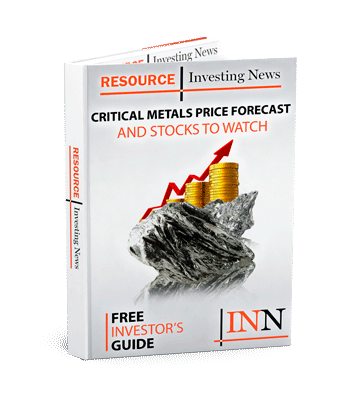 Geomega Resources (TSXV:GMA) has announced its private subsidiary Innord has entered into a collaboration agreement with University of Liege. The University is currently conducting work with Comet Traitements SA as part of a pilot study on hybrid and electric vehicle recycling on behalf of a major vehicle manufacturer. Innord will be conducting separation testing on rare earth element (REE) concentrates produced by University of Liege from magnets contained in hybrid and electric vehicles which are recovered through the pilot study. End of life magnet recycling is becoming a focus point for the permanent magnet industry. Electric vehicle manufacturers are no exception and are investing in recycling for the purpose of recovering value from magnets, lithium ion batteries, copper, aluminum and other recyclable products in these vehicles in order to comply with environmental regulations. In the European Union, 85% of every vehicle must be reused or recycled and 95 percent recovered since 2015 (EU Directive 2000/53/EC). Neodymium magnets are an important component in making more powerful electric motors for vehicles and wind turbines. It is anticipated that more magnets will become available as these products are discarded and recycled in the future. Currently, recycling of steel and copper is very well established, but recycling of permanent magnets out of these new and more efficient motors is very limited. China has a ban on importing permanent magnet scraps and thus Innord’s ISR technology provides a clean and alternative solution for the growing supply of permanent magnet scraps. “It is important to plan ahead, and we are glad that vehicle manufacturers are looking at ways of recycling permanent magnets. We see a significant increase in sales of electric vehicles and in installation of wind turbines world wide, two major consumers of permanent magnets. We already see supply becoming available from these applications and with only more becoming available every year. China is clearly ahead of the curve and has been recycling these scrap magnets for many years already by using their existing solvent extraction facilities. The ISR technology should fit in perfectly to help this growing problem of recycling permanent magnets outside of China,” commented Kiril Mugerman, President and CEO of GéoMégA and Innord.